At Fold3, we’ve recently launched powerful new updates to our search engine. 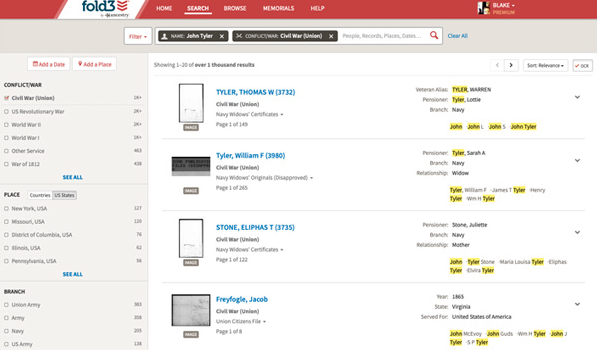 Our updates are designed to help you navigate through more than 500 million records with a series of filters including name, date, place, military (including branch, conflict, service number, etc.) and additional filters to help you quickly locate the records you’re looking for. From the home page, click “Search” on the top bar. Just start typing a name, date, place, or other search term in the search box and see how it gives you hints to guide you along. For example, type a name and select “Name” from the hint box that appears. To enter a date, type “Date” and select the type of date you want to search on, then enter the date itself. Multiple search terms can be added to narrow down your search, and you can always edit the terms you have entered. Start your search with broad perimeters, and then narrow it down for the best results. Notice that we also have a list of search filters on the left-hand side of the screen. As you enter search terms this list will shrink as it shows you what is available based upon your current search. Keep in mind that many of our records are scanned with optical character recognition (OCR) that converts images into encoded text. That means when you perform a search, the highest probably matches appear above a bar, while results less likely to match your search parameters are found below the bar. You might be tempted to ignore the results below the bar, but valuable search results might be available if you dig a little deeper. After you have located records, you’ll want to keep them easily accessible. Consider creating a Memorial and attach your records to that Memorial. As always, records and/or Memorials can be attached to your Ancestry Tree. 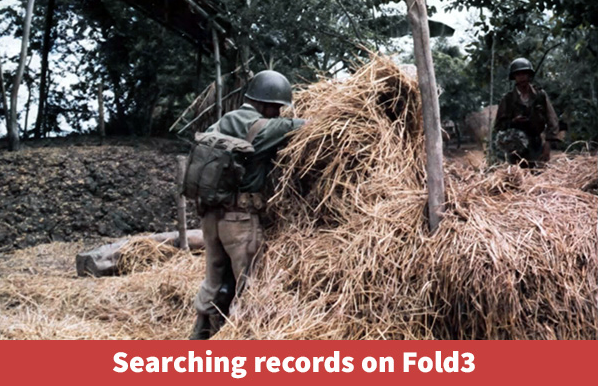 To watch a video tutorial on our new search engine, click here to access the Fold3 Training Center!